Fleetwood Mac News: REVIEW: Fleetwood Mac Newark, NJ - Stevie Nicks "rode the wind like a kite" Mick "a marvel throughout the show"
REVIEW: Fleetwood Mac Newark, NJ - Stevie Nicks "rode the wind like a kite" Mick "a marvel throughout the show"
Fleetwood Mac has frequently been a band of complementary voices without a clear leader. But “Tusk” was Buckingham’s baby, and the Mac set at the Prudential Center in Newark on Wednesday felt very much like Buckingham’s show. The band is famous for interplay between huge personalities. Christine McVie, the electric pianist and songwriter who acted as a serene counterbalance to Buckingham’s spastic energy, has spent the last decade in retirement from the group, and wasn’t present. Stevie Nicks remains a commanding onstage force, but her voice is diminished — she no longer tries to reach high notes that once seemed to come effortlessly to her. 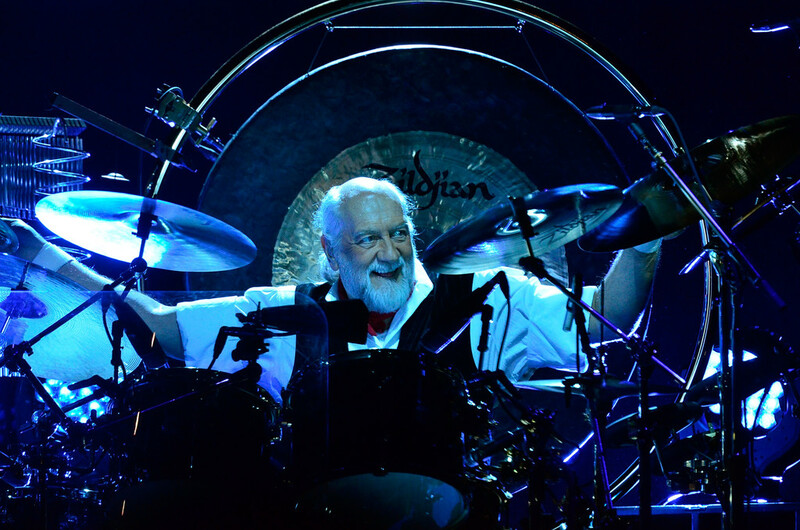 Bassist John McVie is dedicated to self-effacement; drummer Mick Fleetwood remains a powerhouse, but pointedly called Buckingham the band’s musical mentor. Funny, that: it was Fleetwood who, in 1974, invited Buckingham and Nicks to join a group half-named after him, and whose thunderous backbeat holds the group together. 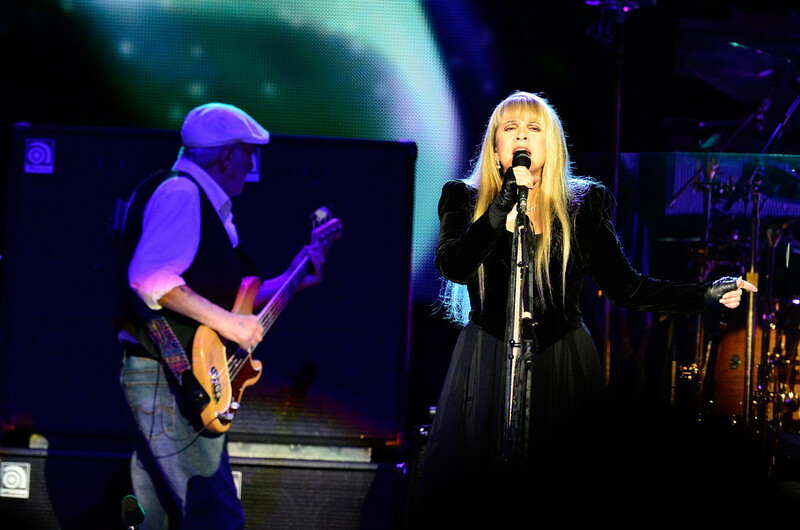 Fleetwood Mac is celebrating the 35th anniversary of “Rumours” with a reissue and a tour. The band played seven of its cuts, and each one drew an ecstatic response from the packed house. But the group seemed more energized by other material. 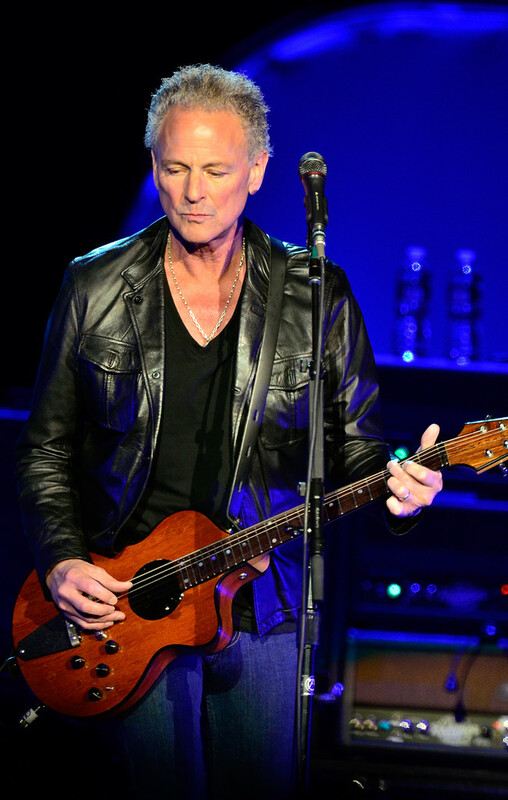 Buckingham introduced four straight songs from “Tusk” with fighting words about artistic independence and the importance of creativity. Later, he held the stage alone for his flashy solo reading of the 1987 hit “Big Love,” and closed the evening with the quiet, acoustic “Say Goodbye.” He took some chances with the “Rumours” material, too, slowing down “Never Going Back Again” to a crawl, and punking up “Go Your Own Way.” “I’m So Afraid,” the brooding final cut on the band’s self-titled 1975 album, became a launching pad for a guitar solo that, while spectacular in its dexterity, flirted with self-indulgence. Buckingham and Nicks dissolved their romantic partnership more than 30 years ago — yet the concert kept reminding us of it. The stars emerged hand in hand, beaming like a presidential couple getting off Air Force One, for the encore set. Earlier in the show, Nicks concluded “Sara” with a turn at Buckingham’s microphone and a sweetly flirtatious dance with him. “Without You,” a love song from the pair’s early years as Buckingham Nicks, was presented as evidence of their initial romantic illusions. A cynic, or even a passionate fan, might reasonably ask why the two continue to poke the embers of a relationship that cooled ages ago, and if that is threatening to eclipse the manifold dimensions of one of rock’s most fascinating groups. In the late ’70s, Fleetwood Mac was singular. Here was a successful rock band where men and women engaged in musical and lyrical dialogue on equal footing; their stories of love and betrayal bore a stamp of authority that comes from lived experience and mutual respect between romantic partners. Christine McVie’s work was an indispensable part of that dialogue. It is a testament to the depth and quality of the Fleetwood Mac catalog that the band could play for nearly 2½ hours while swerving around McVie’s rapturous songwriting. Nevertheless, she was missed like a lost limb. The band did not lack energy. Stevie Nicks took a few songs to warm up, and her performances thereafter were often inexact, but when she lost herself in an outro, as she did during a strong reading of “Gypsy,” she rode the wind like a kite. “Stand Back,” a lively but mechanical Nicks solo hit from the ’80s, was made organic by McVie’s bass and Fleetwood’s fills. The drummer was a marvel throughout the show: His martial intro to “Eyes of the World,” steady stomp during “Tusk” and dramatic build-up before the climax of “Sisters of the Moon” added drama to songs that might otherwise have flatlined. He is the rapid, healthy pulse of a group that, 50 years into its run, remains restless.